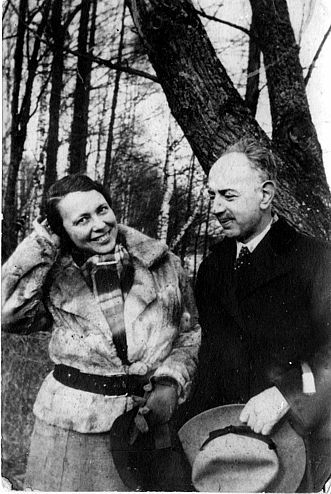 Dr. Hermann Neumark (1880 - 1947) and Ilse Neumark, née Bernhard (1897 - 1955) moved from Posen (Pozna?/Poland) to Frankfurt after the First World War. Dr. Hermann Neumark was a paediatrician and worked as the senior consultant at the city children's home. After 1933 he had to give up his position at the hospital and from then on he ran a private practice. A few weeks after the November pogrom, his children, Alfred Neumark (1921) and Ada Brodsky, née Neumark (1924), were able to emigrate to Palestine. Dr. Hermann Neumark was taken to Sachsenhausen Concentration Camp for several weeks in 1938. After his release, he emigrated with his wife to Palestine.